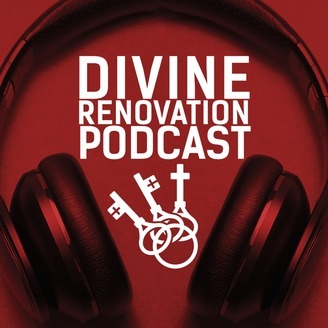 The Divine Renovation Podcast seeks to inspire and equip parishes to move from maintenance to mission. Join Fr. James, Dan O'Rourke, Ron Huntley and guests as they take a deep look at the three keys of parish renewal; the primacy of evangelization, the best of leadership principles, and the empowerment by the Holy Spirit. What's the good word? This week on the podcast we speak with Jeff Smith, President of The Word Among Us. 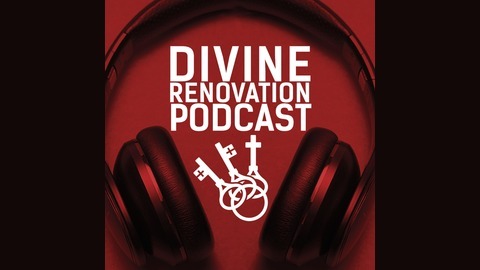 We've worked with WAU on our last two books but the connection with Divine Renovation is so much deeper. Father James shares the impact The Word Among Us had on his faith formation and we talk about how we came to work with them. Jeff shares some insights on why they believe that they're just one of the resources available to help people connect with scripture and where they think we are right now in the eyes of God. This is a great conversation for those looking to grow in their faith and in their community.